The version of Natusfera for the Apple’s iOS operating system is now available and can be used in eight different languages. The platform already has more than 1,300 users who have uploaded more than 7,800 observations. Screenshots of the application for the mobile operating system iOS. Natusfera is now available on iOS. With this release for the Apple operating system, the platform aims to increase its accessibility, since from now on it can be installed by iPhone and iPad users. With this release, it seeks to increase the number of observations and users, and in that way position itself as the citizen science platform of reference in Europe for the study of biodiversity. It is available in Spanish, Catalan, Basque, Galician, English, French, Portuguese and Italian. 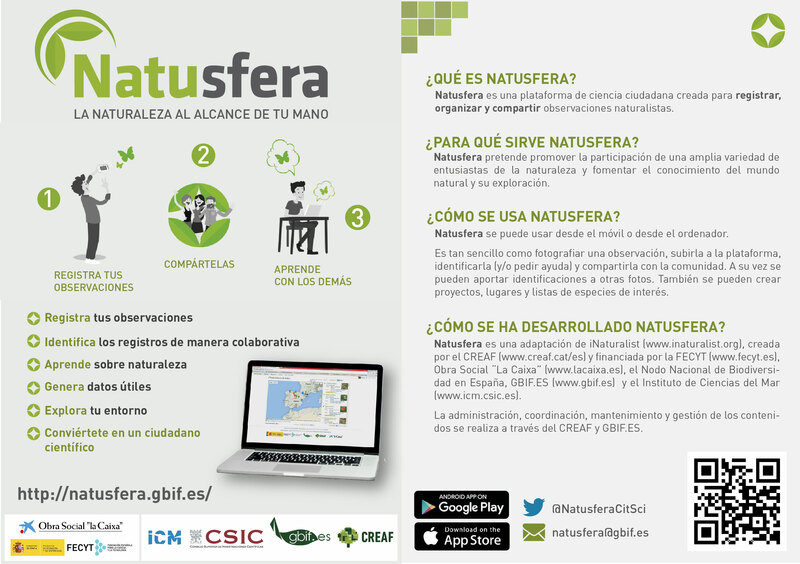 Since the presentation of its website and its Android mobile application in June 2016 in the Royal Botanical Garden of Madrid (RJB), Natusfera has already obtained more than 7,800 naturalistic observations of more than 2,100 different species and has more than 1,300 users. All people that want to record and share observations of nature, meet other naturalists and learn about the natural world, can first register themselves in the website of Natusfera, then download the app or use the website, and start creating their own personalised projects or virtual field notebooks. The data generated by the users, previously validated by experts within the community, become part of the database connected to the Global Biodiversity Information Facility (GBIF), which is used by a lot of scientific projects. The technology of Natusfera is an adaptation of iNaturalist –a platform originating from the United States–, open source and easy to use requiring no technical knowledge. Thanks to this, Natusfera is available to everyone and allows people to upload photos –and even sounds– of living beings that are found in the nature, identify them, organize the photos and create personalised lists or projects. The platform is also a naturalistic social network where all its members are connected and help each other to identify species or fill the different projects with data. 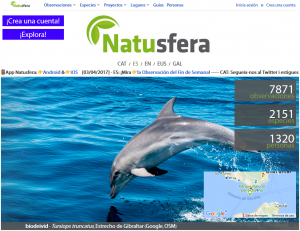 Natusfera is financed by the Spanish Foundation for Science and Technology (FECYT), Obra Social “la Caixa”, the National Node of Biodiversity in Spain (GBIF.ES) and the Institute of Marine Sciences (ICM-CSIC). The administration, coordination, maintenance and content management is made through CREAF, GBIF.ES and ICM-CSIC. 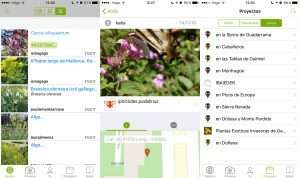 This entry was posted in Actualidad de Natusfera and tagged Android, biodiversidad, biodiversity, ciencia ciudadana, citizen science, CREAF, FECYT, ICM-CSIC, iOS, naturalismo, Natusfera, Real Jardín Botánico. Bookmark the permalink.